We take a practical approach to design, based on many years of experience in detailing for the harsh conditions experienced on the Western side of Britain: practical, but always with the aim of producing an elegant and confident solution. We particularly relish commissions for purpose made, fine detailing. 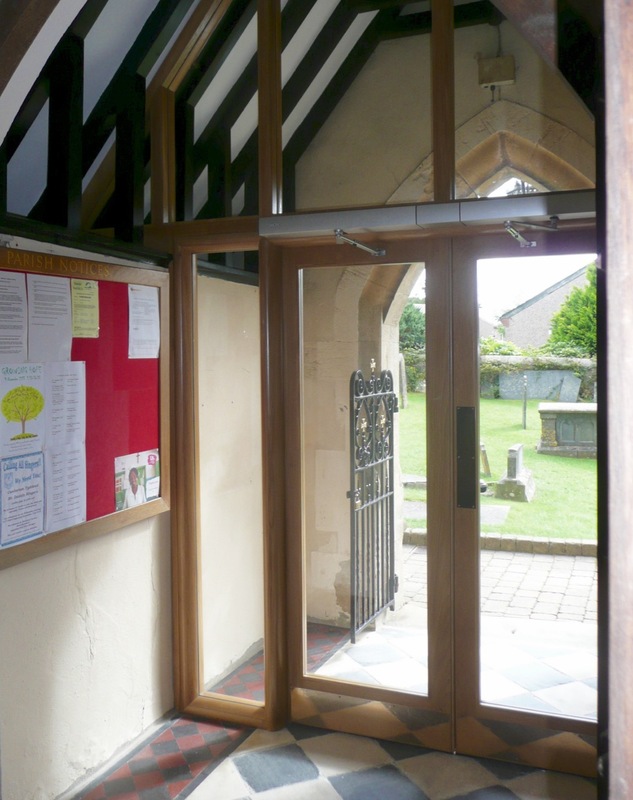 The example shown here is at St. David’s Church, Haverfordwest, where we were asked to introduce a new glazed, oak draught lobby screen into the porch, as unobtrusively as possible, to provide a new level of comfort in a much used and much loved urban church. 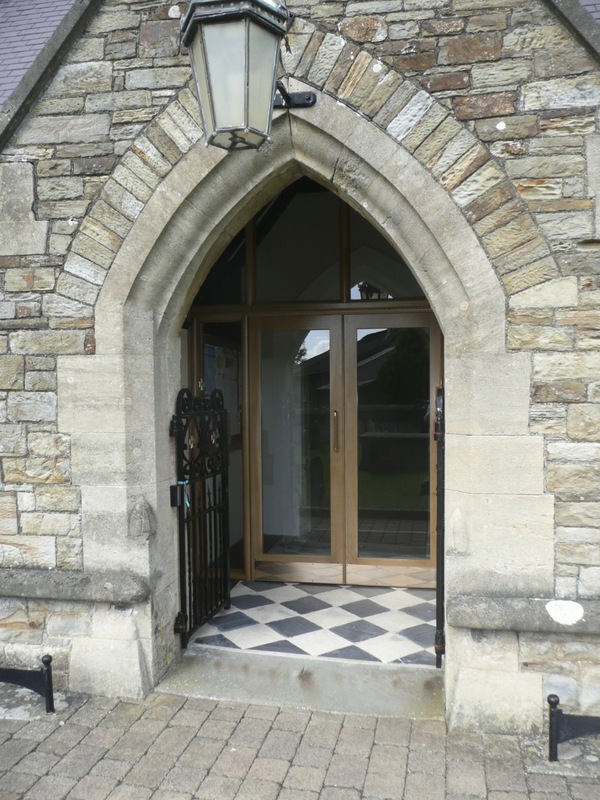 The doors are automated, allowing the church to be easily accessed by someone with impaired mobility. We have reduced the risk of finger trapping in the doors by developing a purpose-made detail that avoids the use of the clumsy, flexible gaiters so often found today on automated doors in commercial settings. We designed the joinery using an elliptical section which, while sympathetic to the Victorian detailing it is inserted into, quietly sets itself apart, so as to not be mistaken for C19 work. At the same time, the softly rounded sections appear to sit gently against the existing construction: in particular, against the floor, where the screen had of necessity, to visually cut across the chequer-work design of the historic tiling (in reality, the contact is cushioned with a hidden flexible seal completely protecting the tiling). In reality, despite these apparently cushioned junctions between old and new, the screen and doors are robustly fixed. The screen and doors were made by Milward Joinery of Pembroke Dock; the general contractor was Dorian Phillips Builders of Llanboidy. The work was completed in 2014.